We see it everyday. People that are angry, rude, and impatient. Some steal the parking spot you have been patiently waiting for, then flip you off when you honk because they almost hit you to get it. Others talk out loud to themselves, making sure we all know they have better things to do than wait in this stupid line and then are rude to the sweet woman checking their groceries because somehow it was her fault they are now going to be late. The list goes on and on. I am sure we can all recall numerous examples of things we see everyday that fall into this category. These people aren’t breaking the law, they are just spewing their hurts and pain onto the rest of us because they haven’t met Jesus. At least that is what I used to tell myself, until a few days ago. I was standing in line at my local drug store, waiting to drop off a prescription for my daughter. There were two older women in line in front of me and they were talking about Jesus. My ears perked up because it is rare to hear two strangers striking up a conversation with God as the subject. Their discussion was inspiring and I thought to myself that I need to be more bold in my walk with Christ and do just as they were, talking about Jesus in casual conversation with strangers. Not only could doing so impact the person I am talking to, it could potentially impact others standing within hearing distance. What happened next rocked my world. The younger of the two women kindly told the other it was a pleasure meeting her and took her turn at the counter. She told the pharmacy tech she was picking up a prescription and provided her name. The tech walked over to the cabinet to retrieve the prescription, returned, scanned the package and then walked around the cabinet to grab something. She was not gone more than two seconds, but two seconds too long for the customer. She rudely asked why she was disrespecting her time by going behind the cabinet. The tech explained that due to the prescription she was picking up, she had to scan something in order to ring it up. The woman got annoyed. She started getting louder, explaining they had never had to do that before. The poor girl remained calm, apologized and what she required next sent the woman over the edge. She was asked to enter her phone number into the keypad on the counter. “You expect me to touch that filthy thing? How stupid do you think I am? I could catch ebola. I refuse to touch it. Go find me a stylus to use.” The poor girl looked horrified. She went to go get help and the women told her not to walk away again. The older of the two women in front of me then explained how unhappy the poor girl working there looked. I agreed and then the 80+ year old woman said, “It must be because she is so fat.” I couldn’t believe my ears. She went on to say that if she were that fat she would be miserable too. I simply explained to the old lady that I use to work in a pharmacy and it was the hardest job I ever had due to unhappy customers. They would be upset because of the long wait and then blame me for issues with their insurance. She said, “Oh, I never thought about that.” At that moment, the woman at the counter turned to leave, cussing to herself as she left the pharmacy. The old lady took her turn as I stood there, shocked by the events that I had witnessed. Both of these women were just talking to one another about their Heavenly Father and a few minutes later, revealing what was truly in their hearts. I wanted to cry. No wonder we live in a world that is lost. How can we expect people to trust God when those who claim to love Him are no different? I left there that day praying for the girl behind the counter and the two women. I prayed that the old lady would leave there that day, unable to forget about what I had said and that God would use this incident to change her heart. I wish I had said more than I did but I know God can use even a few words to share wisdom. As Christians we must always remember that God calls us to be His hands and feet to our lost and hurting world. 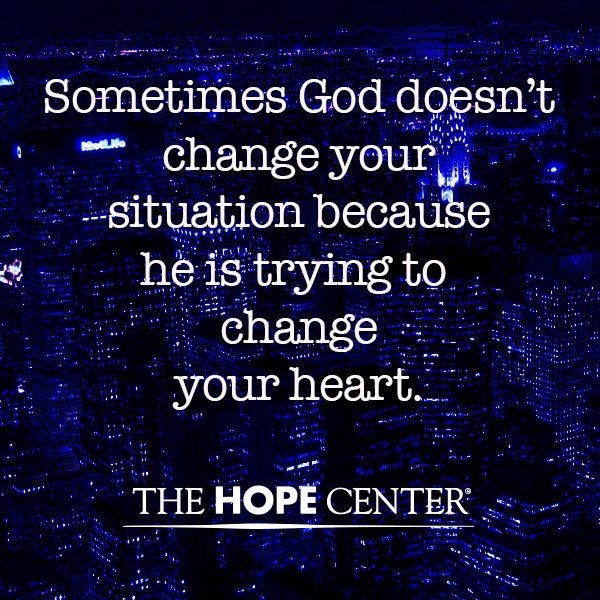 That means we must be plugged in to Him at all times, letting Him change us so we can help change the world. Do you bear a cross? A ring, a necklace, a tattoo, a fish symbol on your car? Anything that tells strangers that you belong to the King? If so, know that others are watching you. Don’t sabotage your witness by defiling His Name.